At ProHire, we know that it takes talent to succeed in today’s competitive business environment. We are pleased to introduce to you a key member of our team of talented professionals. Our customer-centric and team approach allow ProHire to match your needs with the experts who are most suited to your business. Mr. Delgado is a Human Resources professional with 35 years of management experience working with multinational organizations though the United States and Latin America. He has degrees in Business Administration, Economics, Human Resources and is a certified performance coach, trainer and public speaker. Javier has held many important leadership positions with various Fortune 500 Corporations In sales, marketing, product management, executive management, training & development, matrix operations and the most recent in Human Resource Management. He has traveled to 51 countries in these business capacities throughout North America, Latin America, Europe and Middle East and the Asia Pacific basin, for 3M CO, Black & Decker, Gillette, PSEG, SCI and Oasis Outsourcing where for the past 13 years he has been instrumental in developing and growing these organizations with sustainable profitable results. 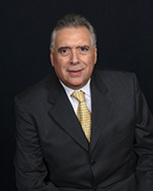 Mr. Delgado is a certified executive coach, consultant, public speaker, trainer, and teacher. He has the following certifications GPHR, PHR & HRBP certified by HRCI though the University of North Carolina Chapel Hill. Though his leadership and expertise he is familiar with latest management trends and is also fluent in Spanish and Portuguese. Javier resides in sunny Miami Florida with his wife and family.